In How Photographs Are Sold, author and fine art photographer Alain Briot has compiled stories and examples of how several successful photographers market and sell their work. 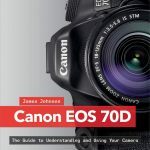 The book features information from photographers who earn a living from their artwork, as well as from others who sell their artwork to further their passion rather than as their main source of income. 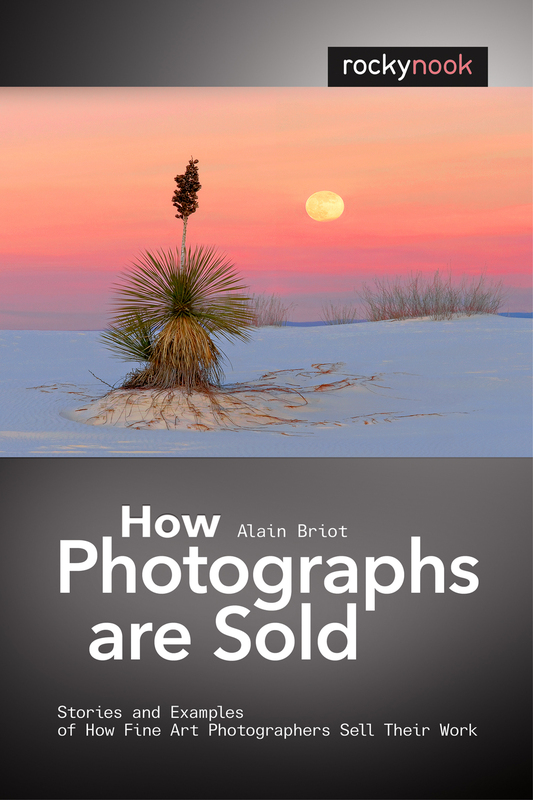 It also includes examples from Alain’s personal experience selling his fine art photographs. 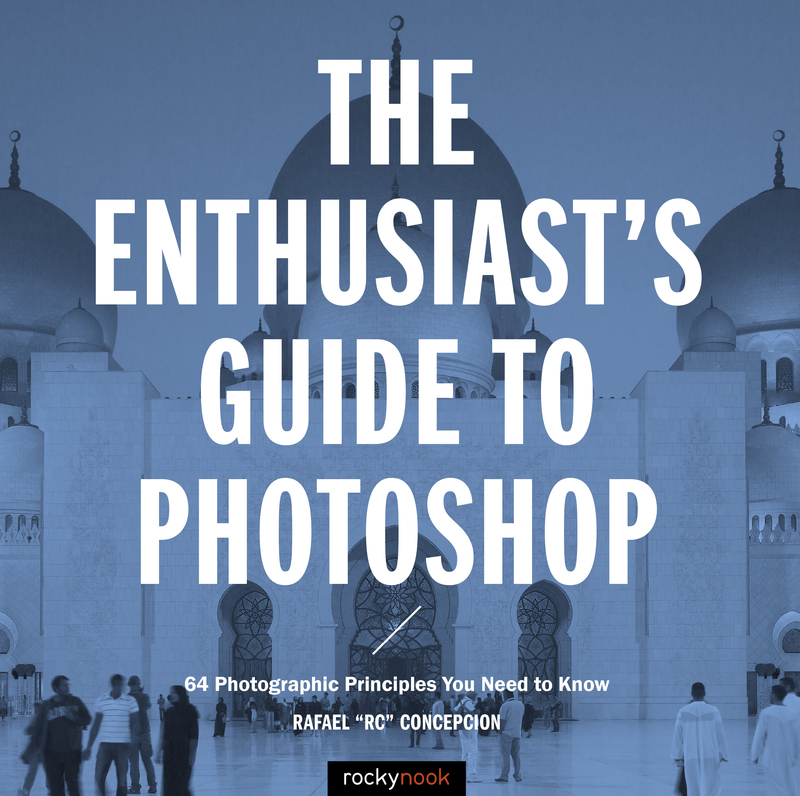 The featured photographers come from a variety of backgrounds and use a broad range of techniques for selling their artwork. They share information about their personal styles, what has worked for them and what hasn’t, where they have sold their work, and more. Also included are images of each photographer’s selling environment and examples of the marketing materials they use. 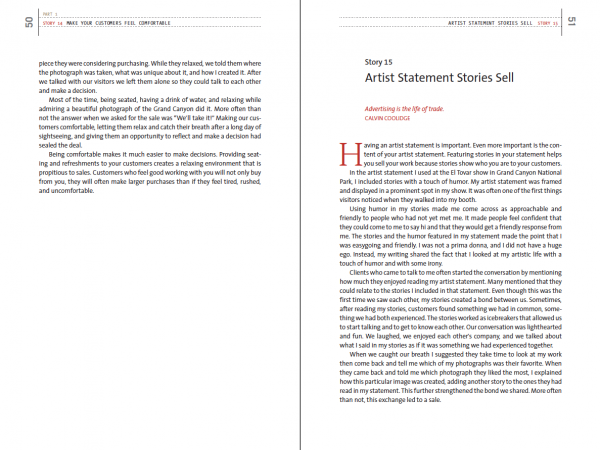 •A description of the selling venues used by each artist: wholesale, retail, galleries, art shows, websites, etc. 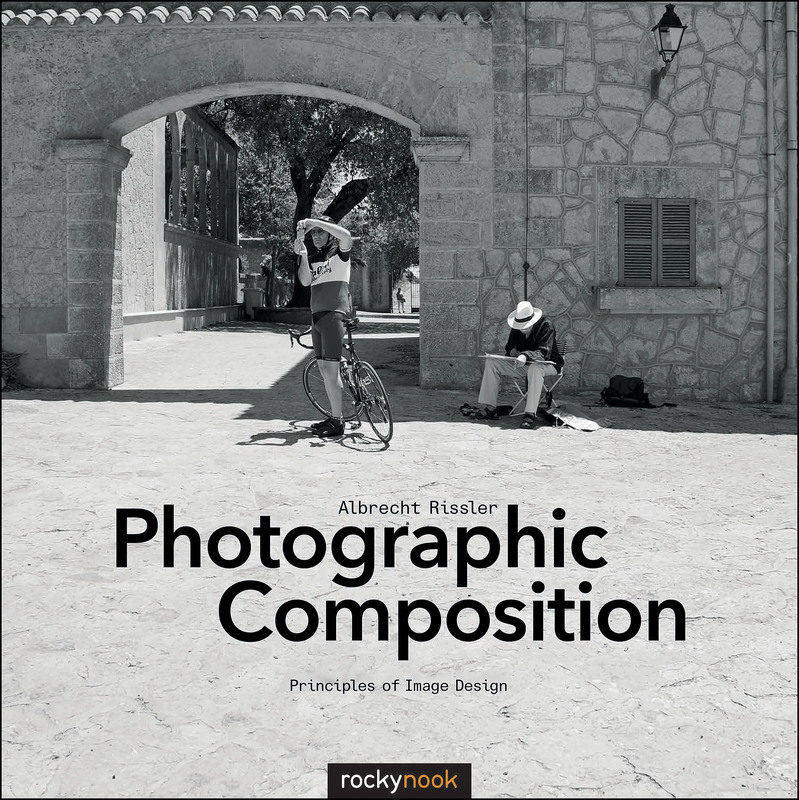 •Various photographic genres: landscape, wildlife, flowers, portraiture, etc. 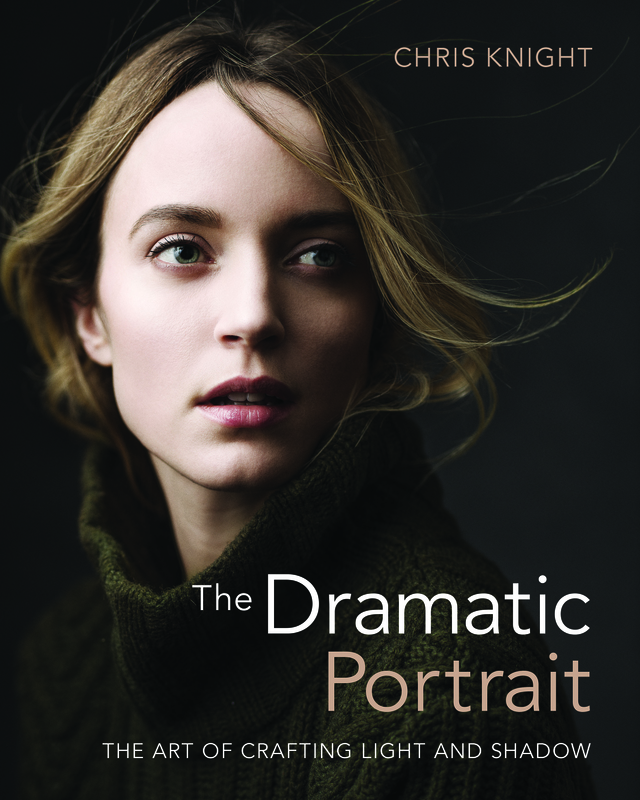 This book is designed to meet the needs of both amateur and professional fine art photographers. 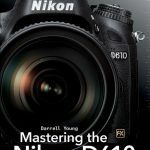 Whether you’re just getting started in the fine art photography business or have been working at it for years, this book will prove to be a valuable resource. 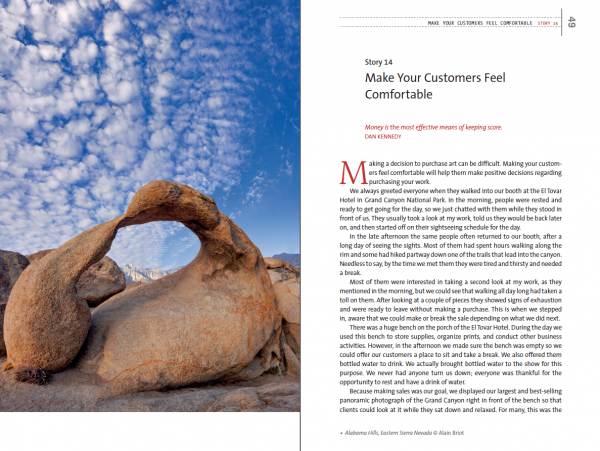 This book differs from Alain’s previous marketing book, Marketing Fine Art Photography, in that this is not a manual but a collection of stories and examples. 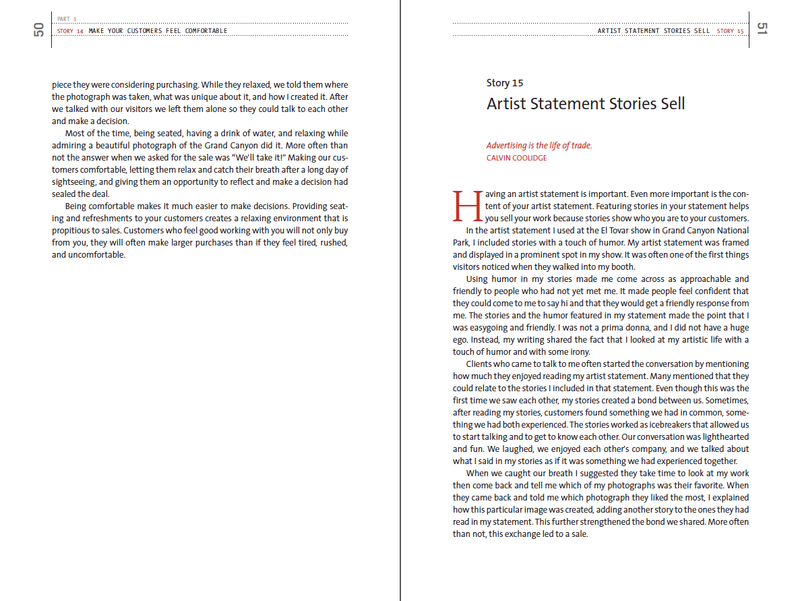 While Alain’s first marketing book tells you how to sell your work, this second book shows you how to sell your work. Product ID: 1119833 SKU: 227. 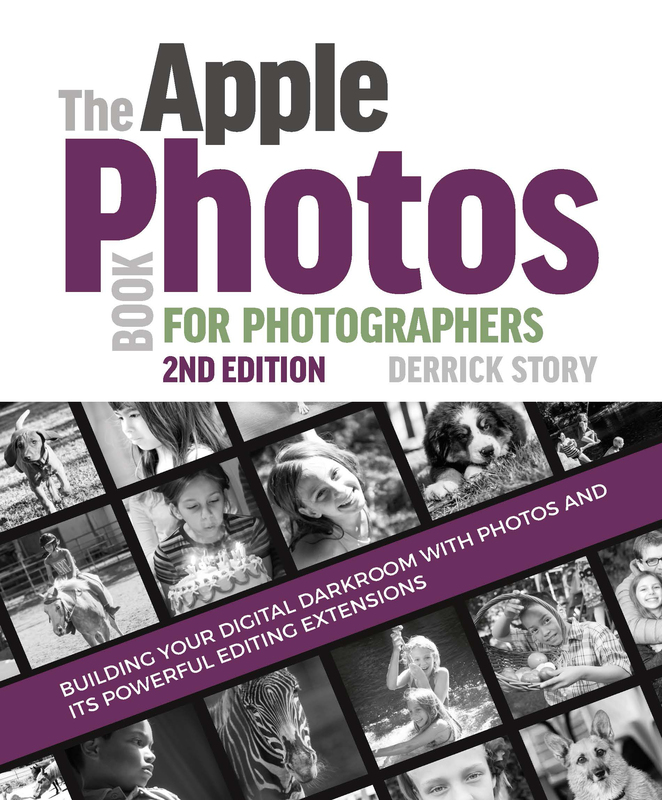 Categories: Photography, Print.